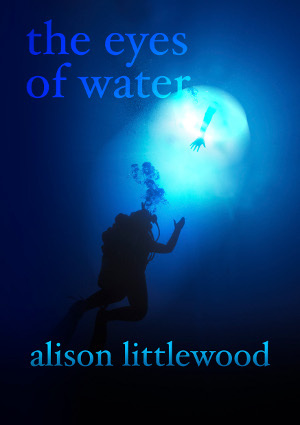 Once again, Mark West of Rude Dude Films has put together a short promo video for the next chapbook, Alison Littlewood’s sold out The Eyes of Water, to give you an idea of what it’s all about. It captures perfectly the stunning beauty of the Mexican cenotes in which the story is set – but still, behind that beauty lurks danger for the unwary…. Talking of being sold out, this neatly brings me on to the issue of subscriptions – many of you are now coming up to the end of your current subs (with most ending with Volume VII), so I would humbly suggest that any who wish to continue subbing should renew as soon as possible because these little chapbooks tend to sell out quickly. Another incentive is that the yearly price will soon be going up (but only slightly) in line with the recent ludicrous increases in Royal Mail postage rates, so buying now will mean that you get your chapbooks at the old rate. We here at Spectral will make it as painless as possible but, rest assured, there will still be the same attention to detail and high quality that are the hallmarks of the imprint. More details will be forthcoming as to when the prices will be increased and what the new rates are going to be. Following on from that, we have decided that, from the March 2013 issue (Paul Kane’s Creakers – Volume IX), there will also be an increase in the print numbers of each edition, to 125. This is being done to allow more people to experience what Spectral is all about. We think this will be a good move, and is further confirmation that we are heading in the right direction.